VRFC, where a group of strangers become a team almost instantly. See you on the turf! 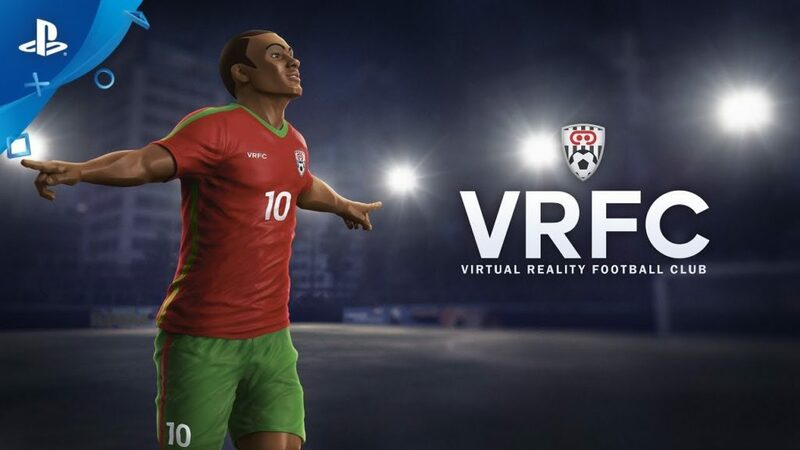 VRFC, Virtual Reality Football Club is a Trademark of CherryPop Games Ltd. VRFC uses Agile Locomotion™. Agile Locomotion® is a trademark of CherryPop Games. Or play real football…. I mean, that's an option right? finally my ps1 gonna have a new game! What's the point of this game? Prefiro gastar o dinheiro do jogo numa bola e jogar de verdade! There's no sport you can play in VR.. This is stupid. It is actually cool ! I don't think it's so easy . Or just go outside with a soccer ball with some friends and play for real. My favourite VR football game is called "Real Life" you should try it out: The grafics are insane, the physics are great, there is nothing scripted and it's free!!!!! 1999 gráficas ??? No no !!! What is this you guys say this as reality. It looks real from which angel to you guys. Where is the real players where is the realistic graphics this is too cartoonistic . What are you doing PS VR why all the PS VR games graphics are too bad and how it will going to give us real experience how?